In Wharfside Village, just to the right of the ferry dock there are three very distinctive and uniquely appealing waterfront restaurants to satisfy any craving. The Bistro on the Waterfront, newly remodeled and with an all new menu, offers the most picturesque island setting for a casual lunch, romantic dinner, a special event or just being with family and friends. With an extensive wine list and creative menu prepared by Chef Chas Beymer, lunch options include hand-made artisan and exotic burgers to fresh seafood sandwiches and salads. Dinner is classic bistro fare, such as seared sea scallops and red wine braised lamb shank. It’s the perfect atmosphere to relax and enjoy the ultimate beachfront dinning. Reservations are recommended. Joe’s Rum Hut, the quintessential beachside bar is St. John’s number one happy hour spot with $3 you-call-it drinks and one of the best menus for kicking back after an exhausting day at the beach. Bring the family in for homemade pizzas, burgers, sandwiches and salads, catch the big game and taste some fabulous Caribbean cocktails. 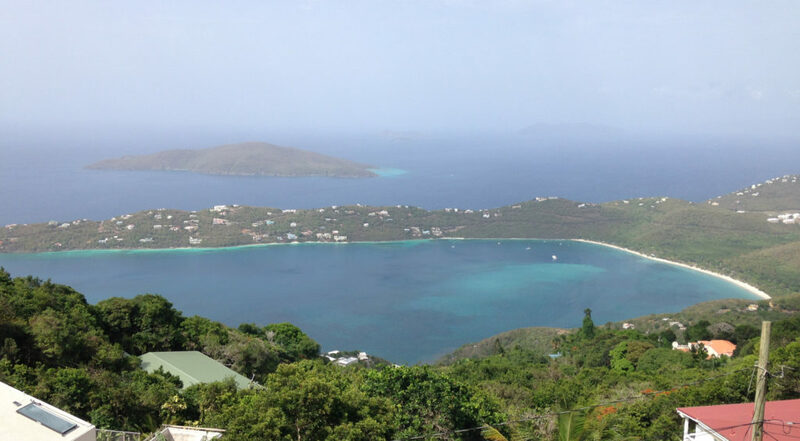 There is no better setting to relax and take in a spectacular view of paradise. Free Wi-Fi. V/MC/AMEX accepted. 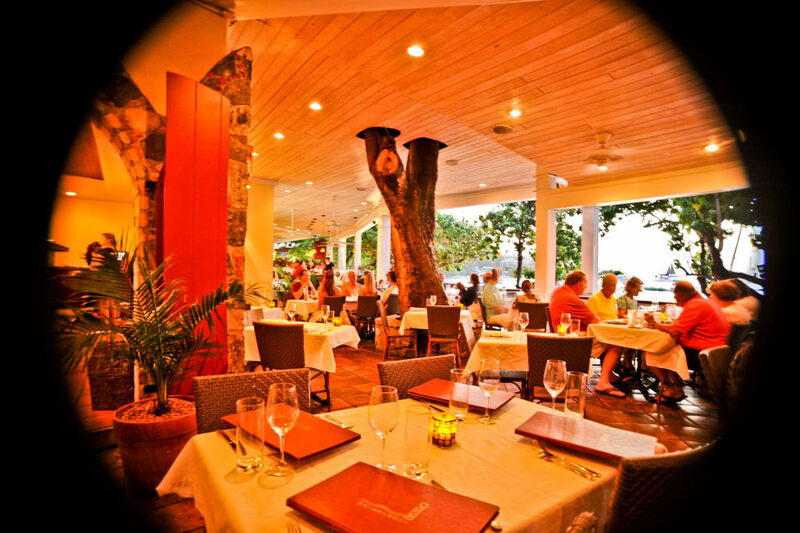 The newest restaurant in the trio, Vista Mare, is located just above Joe’s Rum Hut, up the staircase by the Bistro. 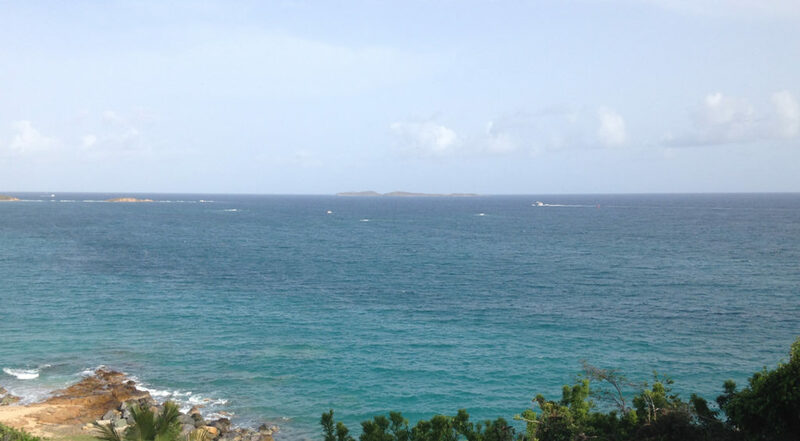 Vista Mare combines traditional Italian dishes and casual dining with the single best view of Cruz Bay. They are family friendly and serve specialty pasta dishes, house-made flatbreads and there’s a menu just for the kids and you can enjoy a great selection of Italian cocktails and moderately priced wine. Try all three of these really great, really different restaurants during your visit. They all offer one of the best sunsets in the Virgin Islands.